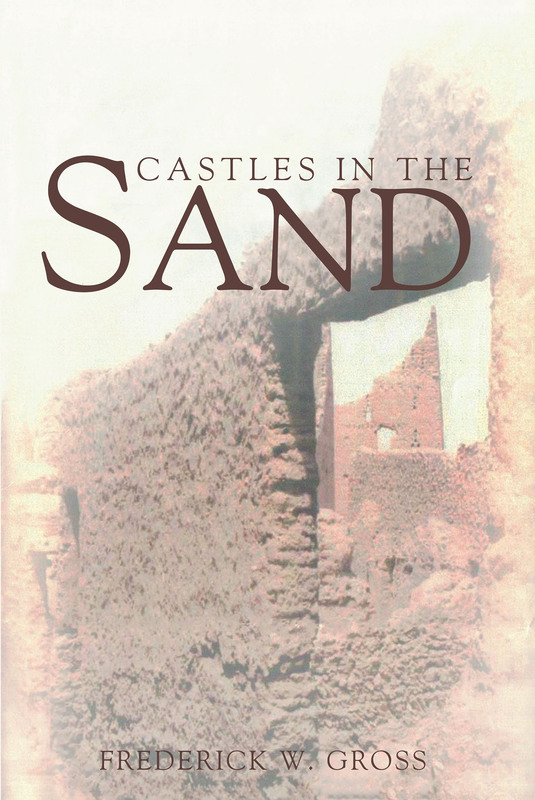 Frederick W. Gross's New Book "Castles in the Sand" is the Shocking and All to True Story of One Man Faced With Taking a Job Overseas Just to Provide for His Family. Gassville, AR, February 22, 2018	(Newswire.com) - Frederick W. Gross, a gifted writer and proud American, has completed his most recent book “Castles in the Sand”: a gripping and true life experience of an American expatriate who, through no fault of his, was thrown out of work during the economic recession of the seventies, who grabbed at the first life preserver tossed his way, a job in the desert kingdom of Saudi Arabia. With a family and a dog to support, and at an age when prospective employers looked at anyone over fifty with a jaundiced eye, the odds of his landing a job were stacked against him. Answering a call from Avco International Services for an interview, he stepped into an eleven-year odyssey of fulfilling contracts in various parts of the desert kingdom. Published by Fulton Books, Frederick W. Gross’s book is set in a loose chronological order. Beginning with his being notified of the closing down of his retail division, the invitation and acceptance for employment in a far-off land few knew anything about, and the weird, almost-unbelievable daily occurrences where, much to his dismay, he discovers that his adversaries are not the Arabs but well-entrenched expatriate coworkers. The ongoing battle of wits between the bosses who knew little and cared less and the new boy on the block forced the author to reassess his priorities in order to survive the determined efforts by a few to have him declared persona non grata and deported. Not to be outdone, the Saudis, in their often but not always naive way, would exacerbate the situation by bringing into play their religion and their culture. The immediate result was mass confusion for all concerned. Few were prepared to deal with or accept the consequences of existing within the extreme restraints encountered. From the closeness of the tight-knit Saudi family to the aloofness of the Saudi businessman and the swift, unrelenting justice of the executioner’s blade, from the openness of the urbane city of Jeddah to the tight rein of the Matawain in the capital city of Riyadh, he has survived a system that few outside the expatriate workforce are aware of. The story stretches the bounds of credibility; however, it really happened, and still does. The characters, the places, and the events are real. They do not exist in the imagination, although it may seem so. The book reinforces the old adage that truth, indeed, is stranger than fiction. Readers who wish to experience this surreal work can purchase “Castles in the Sand” at bookstores everywhere, or online at the Apple iTunes store, Amazon, Google Play or Barnes and Noble.